Antiviral, strengthening, and relaxing. One of the most highly regarded of oils by seasoned aromatherapists, Melissa True Essential Oil has a powerful strengthening effect on the nervous system that is absolutely second to none. It is a nervine tonic that boosts and restores tissues and calms emotional shock, anxiety, anger, fear, hysteria, panic, and stress. 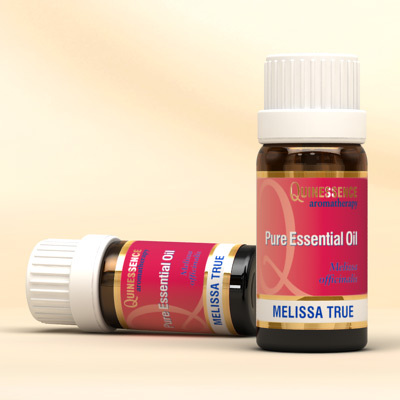 Melissa True Essential Oil slows the respiration and pulse, helps to lower high blood pressure, and as a tonic it benefits the heart and cardiovascular system. This natural nervine tonic uplifts the spirits, helping to dispel depressive moods and melancholy. No wonder the 15th century physician Paracelsus named this plant the ‘Elixir of Life’! Also known as Lemon Balm due to its sweet lemony, slightly herbaceous aroma, Melissa True Essential Oil is a powerful relaxant and antispasmodic. It is used in massage blends for its relaxing and soothing action that helps to ease muscle spasms and settle an upset digestive system, making it ideal for Irritable Bowel Syndrome.